Handmade Gift Feature & Promo from Pernicious Pickling Co. ~ Diane's Vintage Zest! Handmade Gift Feature & Promo from Pernicious Pickling Co. 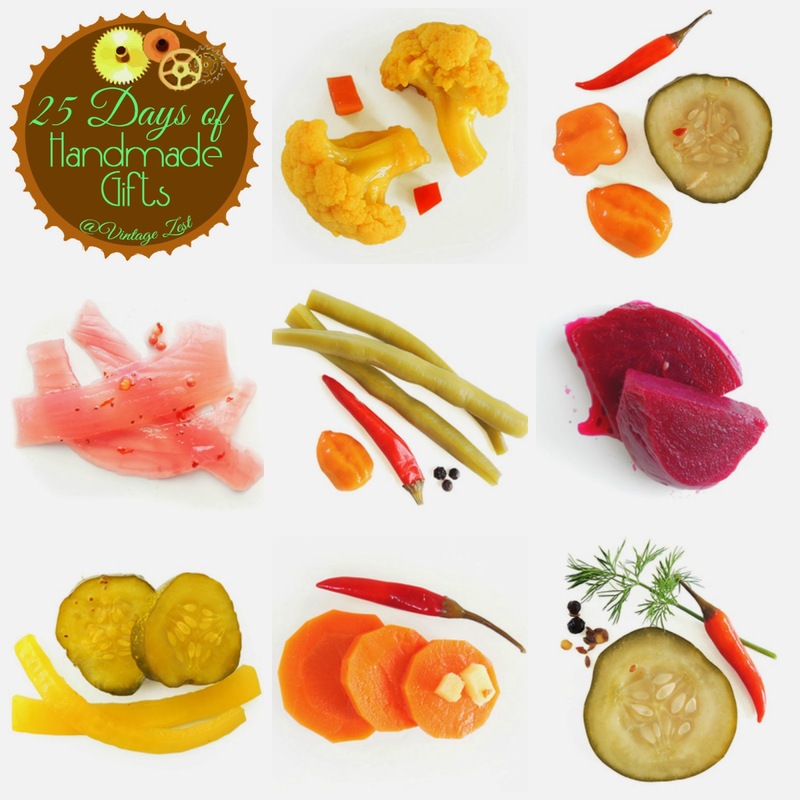 I am really excited to share the delicious pickles from Pernicious Pickling Co. for today's "25 Days of Handmade Gifts" feature. This is the first food feature, and I am so happy to see that Kendra and Baron have joined two loves of mine: hand-crafted items and food! Their colorful and vibrant pickles are just as beautiful as they are delicious. Check out the interview, including the ingenious reason for their company name! Also, my readers get to take advantage of a promo code now until the end of the year. Score! 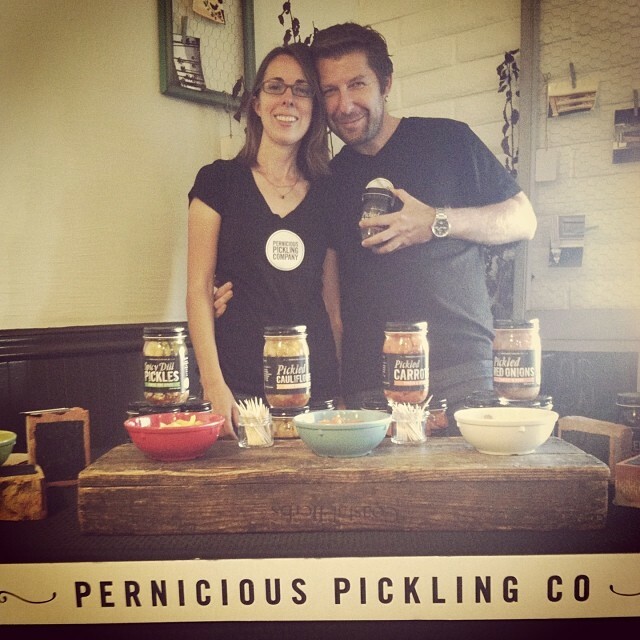 Pernicious Pickling was founded by Kendra Coggin and Baron Conway. While they may have grown up on separate sides of the Atlantic, they both have a love of pickles and preserves. Kendra’s flavors and sensibilities come from the sweet heat of the deep South, while Baron brings his love of old-time European spices and flavors. And so, Pernicious Pickling was born. The definition of PERNICIOUS is "having a harmful effect in a gradual or subtle way" which, in a sense, is what happens when you pickle fresh, in-season vegetables. 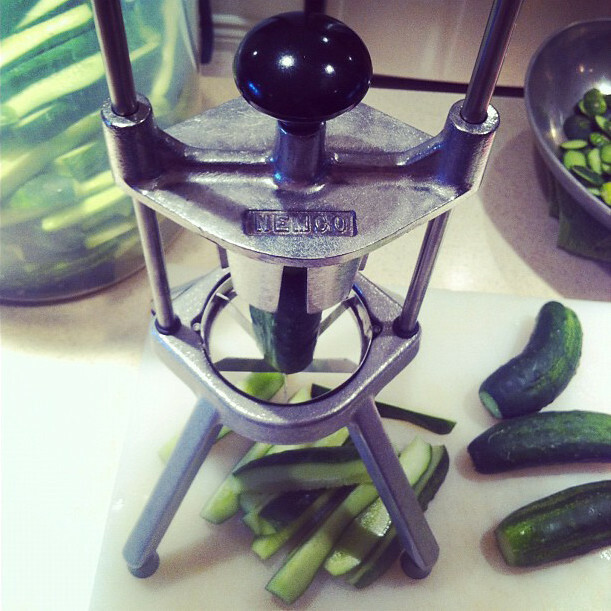 With that in mind, our spin on it is that we have pickles to die for! 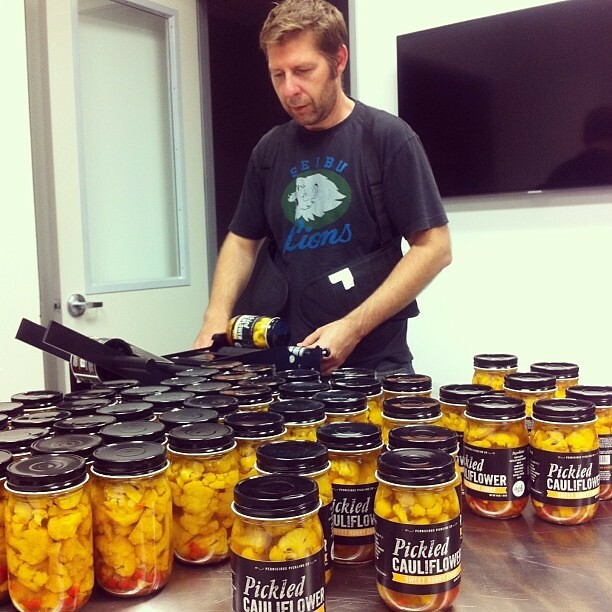 Why did you start making goods for Pernicious Pickling Co.? We've made pickles and jams at home for quite a while, using them often in cooking, cocktails, and our own cheese and charcuterie plates. After seeing a lack of locally-made pickles, we spent 15 months working out recipes, finding a commercial kitchen (The Hood Kitchen in Costa Mesa), and acquiring a Cannery License and Processed Food Registration. We finally opened our "doors" in October at Patchwork Edible and have been rocking 'n rolling ever since. Baron's favorite is our Sour Garlic Pickles – he has one whenever he needs a quick pick-me-up. But I love the Pickled Beets for the fuchsia pink juice that ends up all over me and the kitchen when we make them. 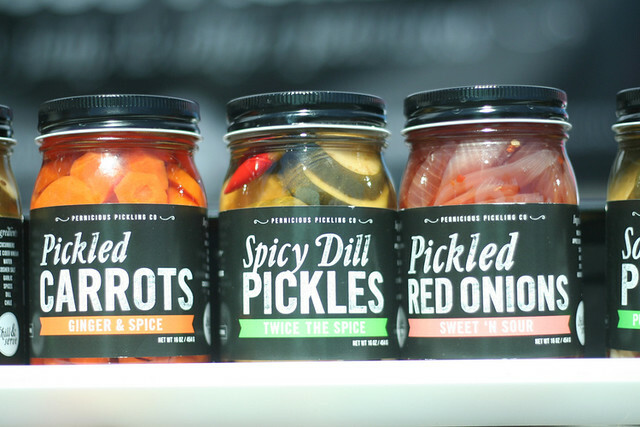 By far, the most popular pickles are the Fashionably Dill Pickled Beets, Sweet Hurry Curry Pickled Cauliflower, and our spicy Lean 'N Mean Pickled Beans. Where do you get the inspiration for your products and flavors? Much of our inspiration comes from our love of cooking and dining out in culturally-rich Southern California. 1. Focus. Our commitment to a small-batch, hand made process to ensure the highest quality and best tasting products. 2. Eating & Drinking. We love food and drink, and so when we created Pernicious Pickling Co., we strived to create tastes and flavor profiles that work great on their own and also are great with a wide range of foods and drinks. All of our products have recipe ideas on the side of their jars, and our website, links to our Pinterest board where we've brought together literally dozens of different recipes & cooking ideas. What is the toughest part about making your goods or the creative process? We are meticulous craftspeople at Pernicious Pickling Co, and are determined to make sure we create the best tasting products possible. So for us the biggest challenge is how to create unique flavors and recipes in a crowded and competitive market. In fact this is something we are very proud of, as all of our recipes have a particular mix and flavor profiles that are unique to us. Where can I see more of your treats and buy a gift? I love the rainbow of pickles that they produce, and I am making it a mission to get every flavor by the end of their December event calendar!